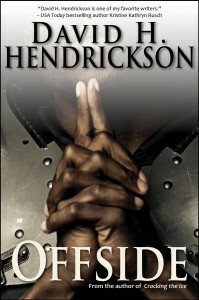 Pentucket Publishing is proud to release David H. Hendrickson’s latest novel, Offside, in all electronic formats. The paper version will become available in early January. Officially, this is a Young Adult title because its hero is a teenager and the content is age-appropriate for readers 14 and up, but the same adult readers who loved Hendrickson’s previous YA title, Cracking the Ice, will love this one, too. Offside is truly a story for all ages. Rabbit, who’d been the most popular kid in Plainfield, Maine, struggles to make friends and wonders if he’ll even survive. Only football can save him.